Your eye brow shape can change how the shape of your face looks. Knowing the shape of your face is the first step to creating your most beautiful look. A perfect brow is very important because it’s the frame of the face and one of the first things everyone looks at. When at Whip Salon I luv using Jane Iredale Great Shape Eyebrow Kit. This fabulous kit includes everything you need to have gorgeous eyebrows. If you want to create the perfect frame, this kit is a must! It’s water resistant, the wax is a botanical formula that will nourish and protect your brows. Inside the rose gold mirrored compact you get a travel size dual ended applicator that will leave you looking fancy on the go. 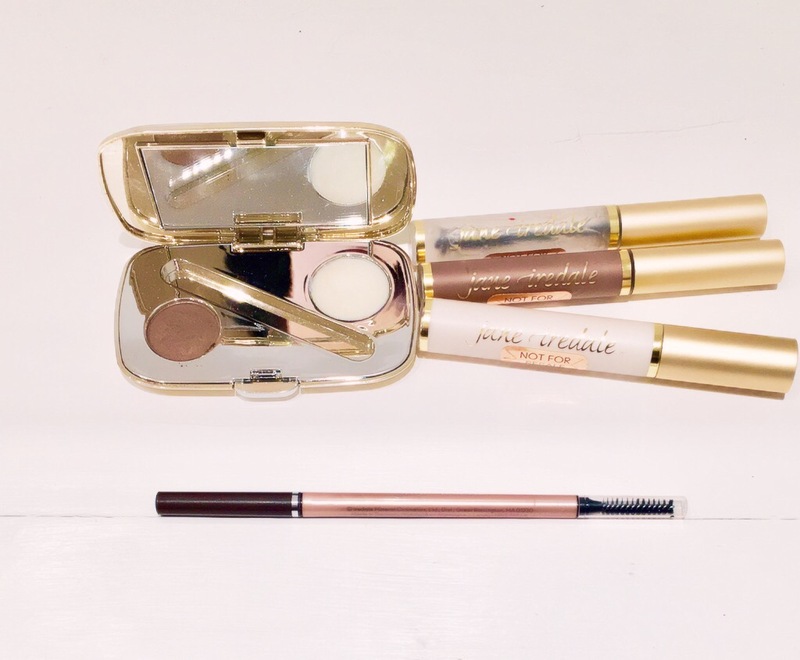 If I want more definition added to the brows I’ll use the Jane Iredale Retractable Pencils. If precise is what your looking for the precision tip is a great way to fill the brows in with. They come in 3 shades leaving you with Instagram brows that is long lasting so you don’t have to worry about smudging. The pencil reminds me of Anastasia Of Beverly Hills just mineral base. If you want very natural brows just with a tint of color then I reach for Jane Iredale PureBrow Brow Gel. It’s great for unruly brows because it holds the brows in place. Perfect for anyone who is experiencing grey eyebrows, the tint gives you enough color to cover them. If you want to be creative you can also use the brow gels as a mascara, just saying. Plus, the algae extract helps to conditions your brows making them healthy. So I saved the best for last, my must have brow products is Jane Iredale PURELASH Lash Extender & Conditioner. I luv this treatment because it does just that. It also has the algae extract so your receiving the conditioner that help to make them health. Plus, the panthenol has Vitamin B, which gives the brows an extra boost of condition. When you apply it first your using it as a primer so this will make your brows thicker that gives a fuller effect. Yes, you can use it day and at night. This step will help to make them stronger. So what do you think? If your obsessed with brows like I am don’t sleep on Jane Iredale brow products. If your not sure which product is best for you just book a lesson with me so that I can assist you with shaping your brows.